Incontinence is something that every human experiences from a young age. As children we wet the bed until we learn how not to. However, as we grow older, there can be complications; disability, injuries and even aging will take us back to a place where bed wetting and a loss of bowel control is commonplace in our lives. If you suffer from this condition, you are certainly not alone. Millions of people experience incontinence by no fault of their own, on a global scale. What you can do, is start to empower yourself by stocking up on incontinence supplies and learning to manage this ailment while keeping your environment hygienic. 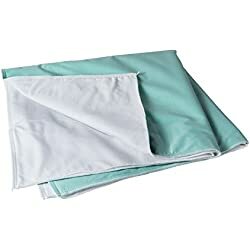 Whether its only temporarily or on a permanent basis, you will need a waterproof bed wetting sheet as incontinence is normally the biggest problem at night. While the convenience of getting a waterproof, specially-made sheet may be clear. There are many other ways that having one or two could benefit you. 1. 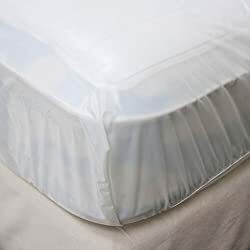 Easy to clean – These sheets are waterproof and typically very easy to wash, making them less difficult to clean than regular cotton or polyester sheets. 2. Theyre specially made – Gone are the days of crunchy, thick and impossible bed wetting sheets. Thanks to advances in production, most sheets are more breathable and comfortable than ever before. 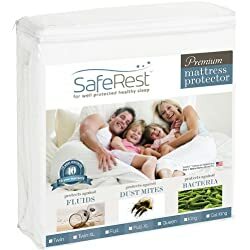 Also, theyre perfectly capable of protecting your absorbent mattress from being stained or wet at the same time. 3. Theyre quickly ready to reuse – Waterproof sheets are not only comfortable and easy to wash, they also dry quickly. This means you can reuse them in no time and dont need to have too many in your collection. 4. Theyre dignified – Losing control over your bowels or bladder can be disheartening because not everybody understands it. Also, people often feel ashamed when this happens to them for a variety of personal reasons. By being able to easily manage the situation and having control over your own hygiene and environment, you can eradicate some of the difficulties of this unpleasant condition and basically lead a normal life. This condition can be difficult but with the right tools, you can basically lead a normal life and be as comfortable as possible doing it. With this simple and convenient linen, you have the opportunity to save yourself a lot of cleaning up and just as much stress. Using incontinence sheets is probably the easiest way to do this and the one thing that will make a big difference to your quality of life. Similarly, bed pants can be just as useful. In fact many people use disposable bed pads which are absorbent and can go on top of your mattress to give you security and protection. Alternatively, you can buy reusable ones that are also easy to wash and protect the under bedding. No matter what option you feel most comfortable with, incontinence sheets could improve your quality of life today if you let them. Look for a stockiest that values discretion. Remember you can get most products over the net while remaining anonymous. Alternatively, you can have your incontinence sheets delivered to your doorstep without anyone else ever having to know.